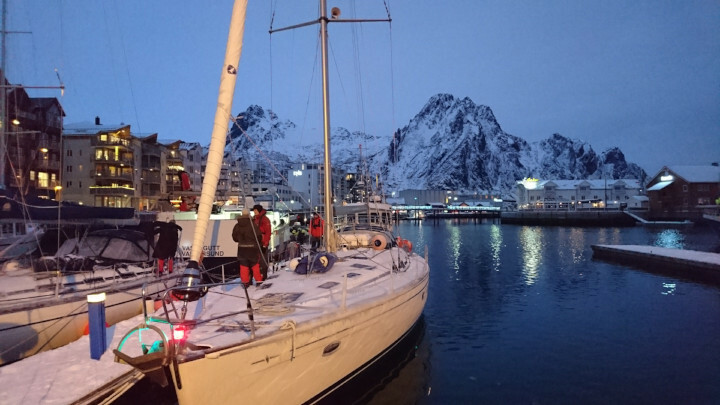 Join us for a seven day long Sail & Ski expedition in Lyngen, Hjørundfjorden or Steigen and Lofoten. We cooperate with guides from all over the world who wants to take their guests to new and exciting areas. Please contact us if you are a guide or want a tailor made trip. 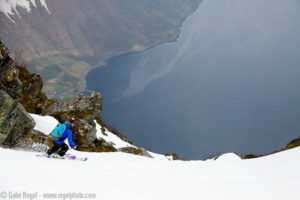 The Ski & Sail season in Lyngen starts in March and goes on until the beginning of June. 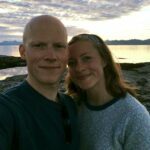 In Lyngen the mountains rise out of the sea, making for incredible views and the chance to descend from serious alpine style peaks right down to sea level. 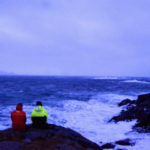 The cold arctic weather means that there’s snow right down to sea level until late in the season so you can clip on to your skis on the beach. 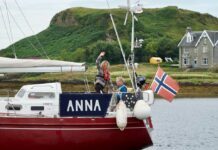 The boat takes up to six guests in three double cabins. 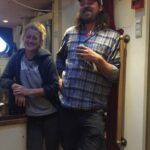 The skipper and mountain guide sleeps in the salon. 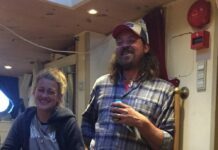 The food on board will be fresh, nutritious and mostly local to give the skiers a taste of the local culture and a once in a lifetime experience. 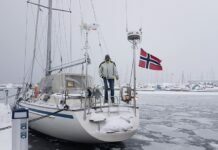 We are offering seven days trip with start and stop on Sundays in and out of Tromsø. 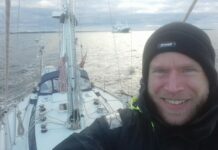 But we can also arrange shorter or longer expeditions. 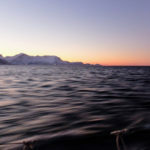 We start from Ålesund and from there we sail right in to the Sunnmøre Alps. 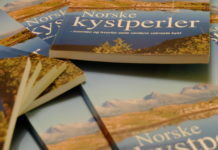 We have classics such as Skårasalen (1542), Slogen (1564), Grøtdalstinden (1331), Dukhornet(1412) and Risenosa (1573). This area is one of the absolutely best areas for powder skiing with its long winters and lots of snow. You will have a local mountain guide ready every day of our trip. Their local knowledge will make sure we reach the best areas, while their education and experience will grant you a safe trip. 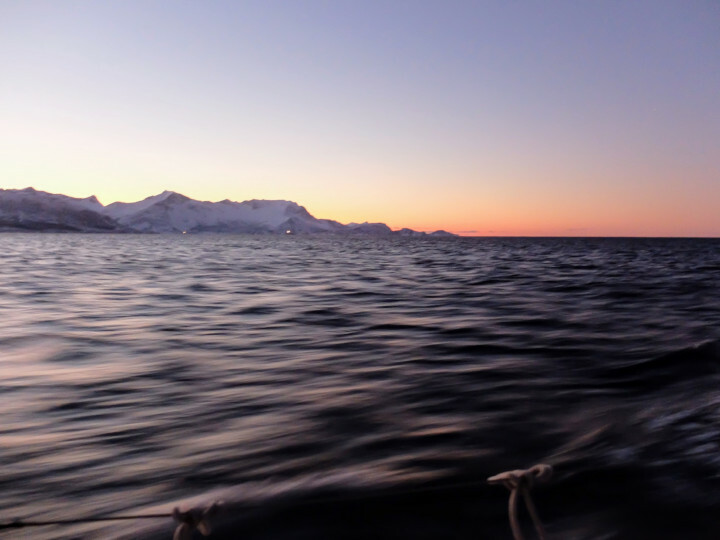 Every day we can sail to the foot of yet another untouched mountain, and when you return to the boat the dinner will be served. The trip starts and ends in Ålesund every Saturday. See www.sas.no or www.norwegian.no for flights. 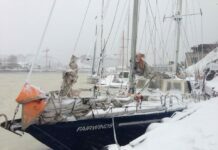 The 43 foot sailing yacht has three double cabins, two bathrooms, dinghy, kayak, and diving equipment on board. We can sail you to the foot of the mountain so that you literally can start your top climb from the deck of our boat. February to end of April 2019. Please let us know your wishes. A typical trip starts and ends Friday. Please contact us for offers. Food and non-alcoholic beverages on board Explore North. Avalanche safety equipment and safety west on the boat. 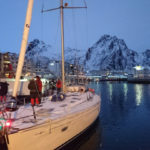 Explore North also arranges tailor made expeditions on sea and in mountains all along the Norwegian coast – summer and winter. Please call to discuss. 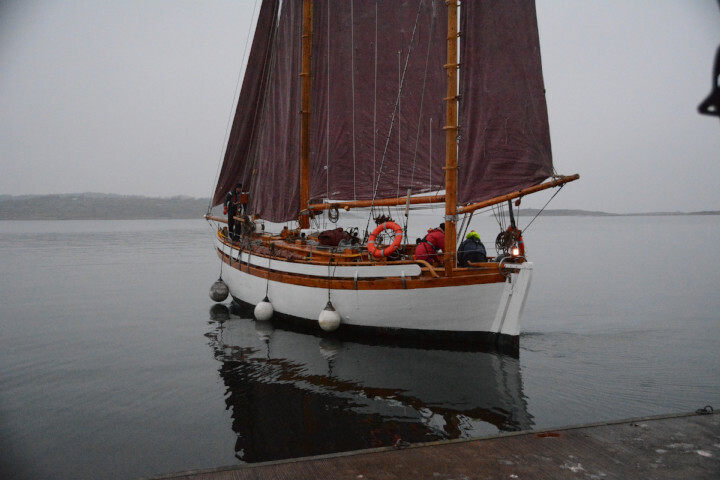 Steigen is just a few hours sailing away from Bodø where our 45 foot sailing yacht is located. This area is untouched and wild with easy access to the summits with our yacht. 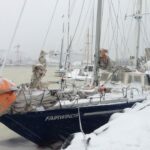 We seldom run in to other skiers or sailors here, so you most likely will have the area for your self. 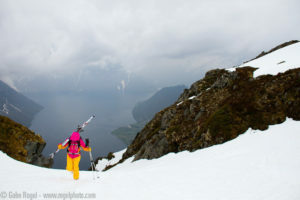 This is a rare experience you will not find in places like Lyngen where there is a lot of skiers on every summit. 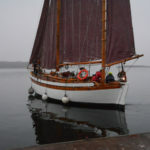 Start from Bodø every Saturday-Saturday from Februar to May. Please contact us for price offers. Bodø is only 90 minutes away from Oslo with plane, and the tickets are moderately priced. See www.sas.no orwww.norwegian.no for flights. 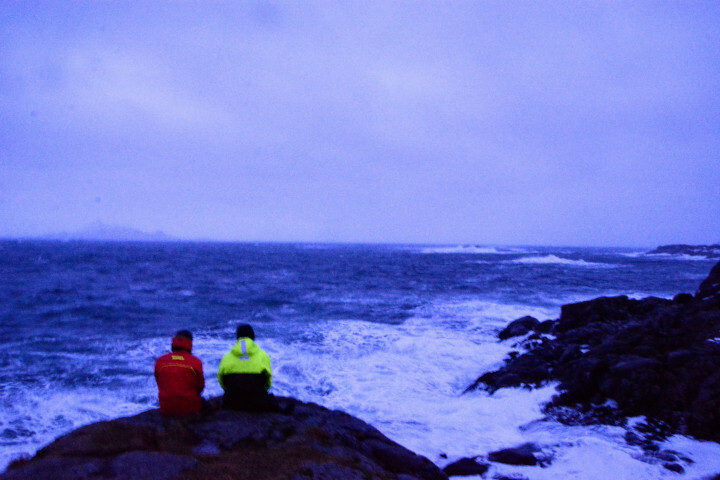 The boat is only 10 minutes walk from the Bodø airport, and the adventure starts here. Please contact sture@explorenorth.no for more information and booking.